Cameron Highlands has always been synonymous with tea because it is here where 2 of the largest producers of tea are located. As such, it is very common for visitors to enjoy Cameron Highlands’ tea at most of the local shops and cafes located around the major towns. However, if you are more a coffee person, you will always spot a familiar sight as there is a Starbucks Coffee here. 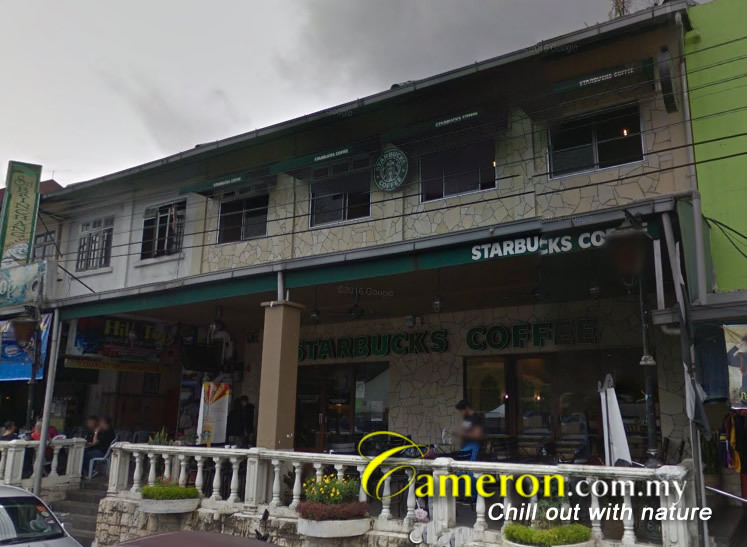 Located in Tanah Rata, you will not miss the green-coloured signage from afar as Starbucks Coffee here takes up 2 shops along the main road of the town centre. Starbucks Coffee in Tanah Rata is where you will find the standard menu items found in every other branch around the country. You can enjoy a cup of cappuccino, latte or espresso and enjoy their variety of snacks and pastries where their cakes have been very popular. The Starbucks Coffee here operates from morning until 10.00am at night and you will notice that there is a healthy stream of crowd coming in throughout. Expectedly, Starbucks is commonly frequented by tourists and those who are working on their mobile devices while it is quite a popular place to enjoy coffee for the locals as well.